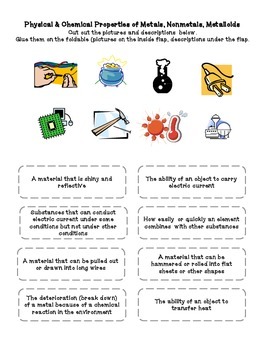 This is a foldable and a cut and paste activity. 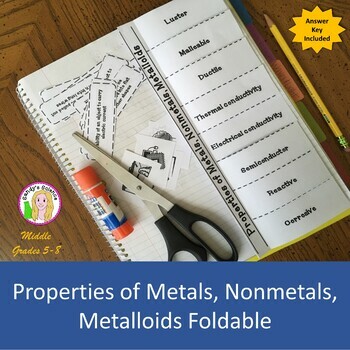 Students define and illustrate the properties of metals, non metals and metalloids (luster, malleable, ductile, electrical and thermal conductivity, semiconductor, reactivity, corrosive) on an 8 door foldable. 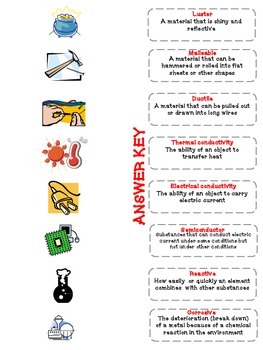 A page is included to cut and paste the properties and illustrations as well as an answer key.